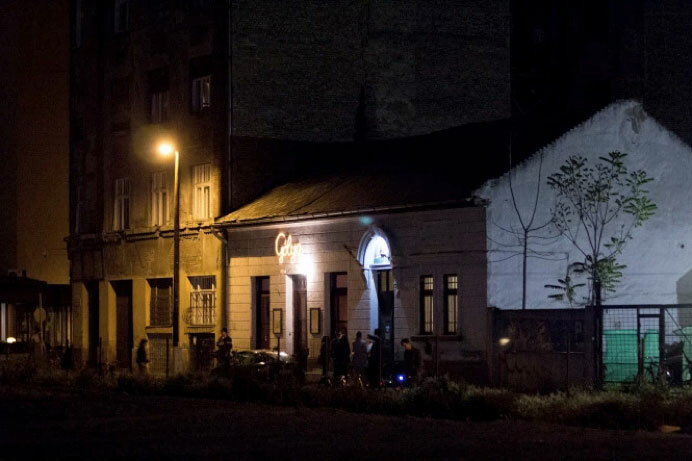 The conference held at the public community house and co-operative bar of Gólya in Budapest, between 3-5 September revolved around the role of technosciences in socialism and post-socialism in Eastern Europe.1 The choice of our venue was an alternative to a “high intellectual” site, which hosts a range of cultural events and progressive social movements within a highly gentrified post-socialist urban area, provided an engaging environment and contributed well to encouraging more relaxed and intensive conversations.2 Participants gathered from a very wide geographical and thematic field, from post-Yugoslavia countries to Azerbaijan, with particularly high participation of Polish speakers, apart from Hungarians. The organizers strove to extend the regional scope of Eastern Europe, to encourage reflections upon the comparative and global aspects of technoscientific endeavours. The keynote was held by Johanna Bockman (George Mason University), author of the book Markets in the Name of Socialism: The Left-Wing Origins of Neoliberalism (2011) (a video of the keynote speech is available on the conference website.). She was joined by panel discussants and session chairs Karl Hall (Central European University), Martha Lampland (San Diego University), Tereza Stöckelová (Czech Academy) and Andrzej W. Nowak (Adam Mickiewicz University), and also by our guest discussant Attila Melegh who represented Karl Polányi Research Center for Global Social Studies (Corvinus University, Budapest). The conference title already hinted two initial points of critical departure: first temporality, then spatiality. On the one hand, the slash in “post/socialism” was deliberately used to underline the constructed nature of chronology and the uneasy historical ruptures or continuities between “pre-socialism,” “socialism,” and “post-socialism” (see e.g. Bockman and Eyal 2002; Lampland 2011; Bockman 2011). On the other hand, the title also aimed to point out both the geographical relativity and the global embeddedness or interconnectivity of “socialisms” and “capitalisms,” while bearing sensitivity to different geographical scales connecting “micro” and “macro” perspectives. Moreover, the plurality of technosciences refers to the spatio-temporal multiplicity of practices, experiences, materialities, modernities and developmental trajectories in “post/socialist” societies. There was wide agreement among conference participants that the liberal critique of “socialism” as an episode in the homogeneous and linear development of authoritarian modernization or “high modernism”, although opening the ground for comparativity, is conceptually inadequate as an ideal-type “carrier” of interests (in J. C. Scott’s words) to grasp the fine-grained cultural particularities, local structural settings, and the interconnectivities or dependencies between geographically varied “modernist” ambitions (Scott 1998). Also, the historically conditioned level of ideological and theoretical debate concerning “socialism,” “modernism” or “centrally planned economy” is in itself inadequate and should be supplemented or challenged by a focus on the more mundane technoscientific materialities and practices of post/socialism. Despite the perceived monolithic concept of “socialism” and the “socialist era,” the technological developments, material artefacts, infrastructures and built environments created and bore different timescapes, and manifested in both utopian projects and mundane objects. The aim of the first, introductory panel, Post/socialism from the perspective of technoscience was to discover in what ways socialist societies were assembled through various technologies and materialities with different spatio-temporal legacies, and how did these change bodies, subjectivities and affective temporalities? Consequently, sessions revolved around how the everyday experiences and practices of technologies during post/socialism can change our understanding of hybridity, and the intertwined and dialectical relations between the material and immaterial, the human and non-human? Were there any specifically “socialist” regimes of knowledge production in Eastern Europe, and in what ways can the continuities or ruptures of epistemological endeavours and technopolitics change our understandings of academia, political governance, and everyday lives after socialism? A body of research has shown that the often essentialized black-boxes of “socialism” and “capitalism,” or “East” and “West” should be contested and opened up for alternative re-conceptualizations (Frank 1991; Verdery 1996; Chakrabarty 2000; Chari and Verdery 2009). One of the main agendas of our panel discussions was to draw on recent insights of global and transnational history in order to counter the internalism and “methodological nationalism” of isolated case studies, which departure from essential traits of the “socialist system” or its country-specific variations when accounting for Eastern European production of knowledge, technology and material infrastructures (Wimmer and Schiller 2002). Many critics have also turned to postcolonial theory to point out that the rather closed and sometimes provincial concept of “socialism”, often treated in a Derridean logocentric binary as the Oriental “Other” of the West, should be situated in different local practices and trajectories, and be elucidated in comparative and global relations (Hann et al. 2002; Outhwaite and Ray 2005; Melegh 2006; Stenning and Hörschelmann 2008; Silova 2010; Cervinkova 2012). Behind the historically constructed conceptual facade of “socialism”, not only is the issue of plural “socialisms” in question, but also the ways of understanding the more delicate flows, the trials and translation effects constituting the technoscientific assemblages of different actor interests and the actor-networks which had produced these “socialisms” across and beyond the “East-West” divide. However, there seems to be a lack of popularity within STS to reach toward contemporary political economic approaches in understanding technoscience (Birch 2013).1 Apart from previously established micro-ethnographical research in STS on how the “economy,” the “market,” or “value” is constructed (exemplified by e.g. Callon 1998; MacKenzie 2009), in recent years there has developed a body of research signalling concerns for theorizing the political economy of technosciences in a more wider scale (see e.g. Mitchell 2011; Lave et al. 2010; Mirowski and Sent 2002, 2008). Following from the above, the traced networks and relational processes producing “post/socialism” could also be contextualised historically along long-term (longue dureé) economic cycles, and the globally uneven circulations and relations of exchange in knowledge and technology (Tulbure 2009; Gille 2010). Thus Eastern European state-socialist ambitions and efforts toward “convergence” or “transition” can be conceived as a series of centralised top-down politics and policies of governance developed in a semi-peripheral structural setting, being deeply integrated into the capitalist world-system (see e.g. Braudel 1967; Wallerstein 1976; Frank 1977; Chase-Dunn 1980). Our conference acknowledged that the production of knowledge, technology and material infrastructures cannot be fully understood without taking into account the global divisions of labour or the specific material and epistemological positions in the hierarchy of the world-system, according to which local elites and societies produce them. One of the conclusions of the conference was that the term “semi-periphery” might be a more useful term than the region-specific and spatially locked “Eastern Europe” (or similar categories) in understanding these political economic dynamics, and could offer a more transparent and analytically enlightening framework for both comparative analyses and emancipative political agendas. These insights might lead us not only into acknowledging the relational and networked nature of post/socialist technosciences, materialities and knowledge production, but also into accepting the need for methodologies that can situate the heterogeneous constellations of assemblages and actor-networks in structurally conditioned power relations and dialectically reproduced epistemological positions. Following from the tension of this seemingly structuralist/post-structuralist dichotomy, the organizers proposed three further questions for discussion. In what ways can the monolithic concepts of “socialism” or “post-socialism” in Eastern Europe be deconstructed geographically, to overcome methodological nationalism in a more globalized perspective? Extending the experiences of the first panel, how do our historical and geographical understandings of Eastern European “socialism” change by considering the continuities and ruptures in technology, knowledge production and material-infrastructural legacies throughout pre/post/socialism? And finally, how were then local technopolitical and developmental strategies of semi-peripheral Eastern European technocratic groups embedded into the wider political economic relations of the world-system? The second discussion panel, Technoscience in the global semi-periphery elaborated precisely on the above theoretical issues, while the third, Studying science and technology in Eastern Europe continued this line to focus on more specific methodological challenges that should be taken into consideration when studying technosciences in the Eastern European semi-periphery. 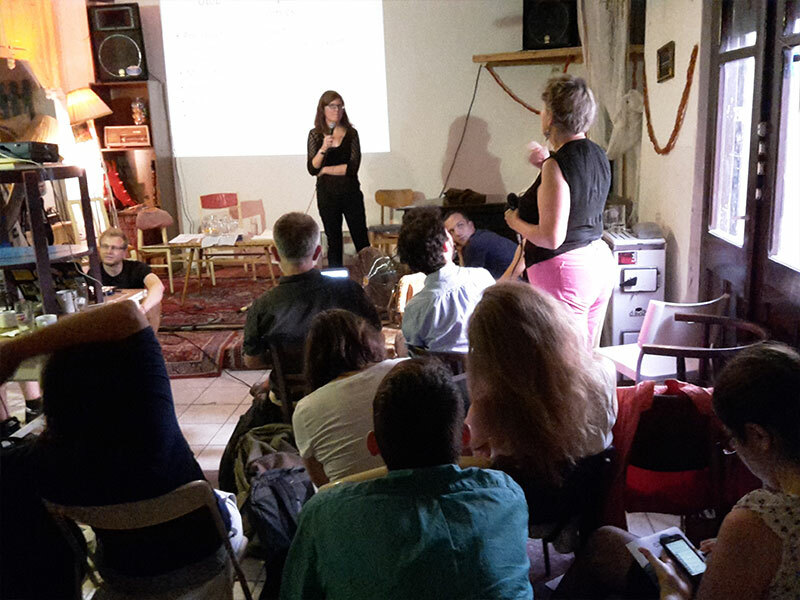 Participants exchanged ideas on their own research designs and empirical experiences, and reflected upon their positions and motivations in producing local knowledge connected to STS. Here it should be added that one of the sessions revolved around the historical conceptualization of technosciences, and more specifically, the origins or varied emergence of STS as a field in post/socialist countries. This issue was exemplified well by Ivana Damnjanović’s paper on the journal Praxis published from 1963–1974 in Yugoslavia, which although developed Marxist and Weberian foundations for the study of technology, later faded out largely due to recession and civil war in the 1980s. One can ponder why STS became generally neglected or in some exceptional cases established in local centres of the region. This is a critical issue, which has mostly been neglected in the field of STS. While the mainstream post-WWII history of technoscience tends to follow neo-institutionalist or neo-evolutionist grand-narratives of the global centre (“military-industrial complex,” “World War II regime,” “Cold War regime,” “mode 2 science,” “post-academic science,” “big science,” “triple helix,” “commercial science,” etc. ), alternative developments are generally considered only as recipients of diffusion or belated “catching-up” attempts in the successive stages of modernization, without any reflections on local and peripheral contexts, transnational connections and dependent relations (Pickering 1995; Galison and Hevly 1992; Nowotny et al. 2001; Ziman 2000; Sent 2013; Etzkowitz 1993, 2002; Solovey and Cravens 2012). In the fourth and last panel, participants discussed in what ways practicing post/socialist STS might be different from that in the “West.” It was made clear that they often face similar problems in academia, such as lack of funding or institutional possibilities, and an underdeveloped STS field. From the perspective of EASST it was worthwhile to reflect upon why these uneven relations exist or are maintained, and how can they be countered in light of historical experiences. Sessions included a range of topics, such as subjectivities and material infrastructures, the technopolitics of nature, the role of engineers and entrepreneurs, objectivity and quantification across East and West, the global circulation of high-tech, and the internationalization of technocracies. Adrian Deoanca’s case study of the Romanian rail reform discovered the relations between the material and immaterial, showing that actor-network approaches cannot capture everyday affective realities, like the temporal performance of rail infrastructures, or the public experience of the socialist state as the provider of modernity with its ideology of visible infrastructures (in contrast to the West). Ágnes Gagyi extended this dichotomy to demonstrate how local social movements in Hungary and Romania emerged under global pressures in the two countries’ modes of world economic integration after the 1973 oil crisis, connected to the import of anti-pollution technology and the lack of hard currency. Some contributions showed great potential for comparative analyses, for example about nuclear and antinuclear movements (Márton Fabók, Sergiu Novac), or the “socialist” computer industry.2 The participants’ impression was that while there are studies about some of these topics, they are usually not approached from a STS perspective. Several papers touched upon how scientist and engineer cultures bore prestige in socialist societies, and the ways the rhetoric of becoming technological nations during socialism was constructed in light of developmental strategies. Leyla Safyutdinova’s paper showed that as post-Soviet Azerbaijan shifted into a resource-based development that was dependent on foreign technology, engineers became “button-pushers” and alienated from the full process of technology development. Zinaida Vasilyeva’s case study elucidated the alternative places of modernity and development in the hybrid terms of the “Soviet entrepreneur” and the state-sponsored innovation “garages” of the NTTM movement for training young engineers (nauchno-tekhnicheskoe tvorchestvo molodezhi). Semi-peripheral, dependent development trajectories were also exemplified by the case of hacking collectives in Poland, Germany and the Czech Republic presented by Marcin Zaród, or by the development of the knowledge economy in Bulgaria addressed by Tina Schivatcheva. Several papers, such as by Magdalena Góralska, Sergiu Novac and Zinaida Vasilyeva offered insight into the practices of translating practical skills, professional expertise and knowledge or engineering cultures into competitive Western settings. Sergiu’s paper on the nuclear plant in Greifswald (GDR) showed how German engineers developed their expertise, “learning by doing” independently from Soviet assistance. Magdalena argued from her ethnographic research that the post-socialist modernization of agriculture in Poland and the debate on GMOs in 2011 should be interpreted in light of both Soviet heritage and Euro-globalization. An interesting session dealt with how the global discourse of statistical data and quantitative methods were conceptualized, circulated and translated between East and West in the Cold War era. Zoltán Ginelli showed how mathematics was legitimated as a “neutral” field of global discourse, and thus quantitative-rationalist theories of spatial planning were circulated from the USA into the USSR and Eastern Europe by technocratic experts in an era of global economic upturn and consequent rapproachment in the 1960s. András Pinkasz touched upon the same space and era, showing how the difference of the “socialist” from the “capitalist” statistical system was neither connected to immanent characteristics of “socialism,” but to the priority of a “catching-up” industrialization strategy embedded in world-systemic relations, furthered by introducing “capitalist” methods in the 1960s. Similarly, Narcis Tulbure explored data-poor socialist states in Eastern Europe, identifying Romania’s distinct socialist regime of data production through emerging technologies and forms of ideological interventions. These case studies, including Róbert Balogh’s paper on the politics of Sovietized science in the botanical garden of Kámon in Hungary, clearly underlined the need for a transnational and global perspective on the understanding of technoscientific regimes and circulations in and beyond Eastern Europe. The provocative keynote speech of Johanna Bockman entitled Against Technoscience, opened with the general question: what is technoscience? She highlighted that although it is about the co-production of knowledge and science (e.g. nuclear physics and nuclear society or subject, or reproductive technology and reproductive subject), but it often carries negative connotations, either related to the market logics and entrepreneurial individual of neoliberalism, or economics and governmentality (Foucauldian biopolitics), or technopolitics and hegemony. This ignites the concern, also debated in the discussion, whether the experience of socialist technosciences is to raise caution about all-transformative visions or to open novel ways to think about utopian alternatives? Were socialist technosciences liberating? Or in what sense did they follow local pragmatic goals? Although much of STS follows Latour and others in looking at technoscience as a tool of understanding, feminists have called for positive, liberating forms of technoscience. It thus remains an important issue how people can intervene in technoscientific projects, whether being elite-driven sciences, authoritarian nuclear physics, conservative and elitist Cold War mentality, etc. Johanna Bockman also disagreed with her previous article (Bockman and Eyal 2002) in that socialist and capitalist technosciences may share certain characteristics, such as being atomizing, individualistic, top-down etc., because the simultaneous development of neoliberalism in Eastern Europe and the Western world cannot be universalized. Her title here referred to thinking about people who are against technoscience in order to create a different world that is not elitist and technocratic, or which might become a different form of socialist technoscience. The proceedings of the conference outpaced the initial expectations of the organizers: not only were communication networks and collaborations successfully established, but an edited volume is also in production, including some applicants who had sent in valuable abstracts but could not participate in the event. The already accepted 15 individual papers are divided into five thematic blocks, and the volume includes a discussion section that lends space for the discussants of our conference to share short reflections on the main topics and their individual experiences of studying technosciences in Eastern Europe (for more information on this forthcoming volume, contact the editor, Zoltán Ginelli). As can be seen from the above, EASST provided an important platform for tying together Eastern European nodes of STS scholars, and also gave impetus for future prospects on developing political economic approaches to technoscience. 1 See the special issues of the journals, Spontaneous Generations, “Economic Aspects of Science,” Vol. 7, No. 1; and Social Studies of Science, “STS and Neoliberal Science,” Vol. 40, No. 5. 2 Conference organizer Márton Fabók and speaker Sergiu Novac will convene together with Sonja Schmid a track on Infrastructures of nuclearity: Exploring entangled histories, spaces and futures at the 4S/EASST Conference to be held in Barcelona, 2016 August 31–September 3. Birch, Kean (2013): The Political Economy of Technoscience: An Emerging Research Agenda. Spontaneous Generations: A Journal for the History and Philosophy of Science, Vol. 7, No 1, 49–61. Bockman, Johanna (2011): Markets in the Name of Socialism: The Left-Wing Origins of Neoliberalism. Stanford University Press. Bockman, Johanna and Eyal, Gil (2002): Eastern Europe as a Laboratory of Economic Knowledge: The Transnational Roots of Neoliberalism. In: American Journal of Sociology, Vol. 108, No. 2.: 310–352. Braudel, Fernand (1967): Civilization and Capitalism, 15th–18th Centuries. Vol. 1.: The Structures of Everyday Life. Berkeley: The University of California Press. Callon, Michel (Ed.) (1998): The Laws of Markets. Oxford and Malden: Blackwell. Cervinkova, Hana (2012): Postcolonialism, postsocialism and the anthropology of East-Central Europe. Journal of Postcolonial Writing, Vol. 48., No. 2.: 155–163. Chakrabarty, Dipesh (2000): Provincializing Europe: Postcolonial Thought and Historical Difference.Princeton University Press. Chari, Sharad and Verdery, Katherine (2009): Thinking between the Posts: Postcolonialism, Postsocialism, and Ethnography after the Cold War. In: Comparative Studies in Society and History, Vol. 51., No. 1.: 6–34. Chase-Dunn, Christopher (1980): Socialist State in the Capitalist World Economy. In: Social Problems, Vol. 27., No. 5.: 505-525. Etzkowitz, H. (1993): Technology transfer: The second academic revolution. Technology Access Report 6, 7-9. Etzkowitz, H. (2002): MIT and the Rise of Entrepreneurial Science. London, Routledge. Frank, André Gunder (1977): Long Live Transideological Enterprise! The Socialist Economies in the Capitalist International Division of Labor. In: Review (Fernand Braudel Center), Vol. 1., No. 1.: 91–140. Frank, André Günder (1991): Transitional Ideological Modes: Feudalism, Capitalism, Socialism. In: Critique of Anthropology, Vol. 11., No. 2.: 171–188. Galison, Peter – Hevly, Bruce W. (1992): Big Science: The Growth of Large-Scale Research. Stanford (CA): Stanford University Press. Hann, Chris M. – Humphrey, Caroline – Verdery, Katherine (2002): Introduction: Postsocialism as a Category of Anthropological Investigation. In: Postsocialism: Ideals, Ideologies and Practices in Eurasia. Ed. Hann, Chris M. Routledge. 1–28. Lampland, Martha (2011): The Technopolitical Lineage of State Planning in Mid-Century Hungary (1930–1956). In: Entangled Geographies: Empire and Technopolitics in the Global Cold War. Ed. : Hecht, Gabrielle. MIT Press. 155–184. Lave, R., Mirowski, P. and Randalls, S. (2010) Introduction: STS and neoliberal science. Social Studies of Science 40(5): 659-675. MacKenzie, Donald (2009): Material Markets: How Economic Agents are Constructed. Oxford: Oxford University Press. Mirowski, Philip – Esther-Mirjam Sent (Eds.) (2002): Science Bought and Sold. Chicago: University of Chicago Press. Mirowski, Philip – Esther-Mirjam Sent (2008): The Commercialization of Science and the Response of STS. In: Edward J. Hacke – Olga Amsterdamska – Michael Lynch – Judy Wajcman (Eds. ): Handbook of Science and Technology Studies. Cambridge (MA): MIT Press. pp. 635–689. Mitchell, Timothy (2011): Carbon Democracy: Political Power in the Age of Oil. London and New York: Verso. Nowotny, Helga, Peter Scott and Michael Gibbons (2001): Re-Thinking Science: Knowledge and the Public in an Age of Uncertainty. Cambridge, Oxford and Malden: Polity. Outhwaite, William – Ray, Larry (2005): Social Theory and Postcommunism. Blackwell. Melegh, Attila (2006): On the East/West Slope: Globalization, Nationalism, Racism and Discourses on Central and Eastern Europe. Central European University Press. Pickering, Andrew (1995): Cyborg History and the World War II Regime. Perspectives on Science. 3(1): 1–48. Sent, Esther-Mirjam (2013): The Economics of Science in Historical and Disciplinary Perspective. Spontaneous Generations. 7(1): 6–11. Scott, James C. (1998): Seeing Like a State: How Certain Schemes to Improve the Human Condition Have Failed. New Haven and London: Yale University Press. Silova, Iveta (2010): Rediscovering Post-Socialism in Comparative Education. In: Post-Socialism is not Dead: (Re)Reading the Global in Comparative Education. Ed. Silova, Iveta. Emerald. 1–24. Solovey, Mark and Hamilton Cravens (Eds.) (2012): Cold War Social Science: Knowledge Production, Liberal Democracy and Human Nature. New York: Palgrave Macmillan. Stenning, Alison – Hörschelmann, Katherin (2008): History, Geography and Difference in the Post-socialist World: Or, Do We Still Need Post-Socialism? In: Antipode, Vol. 40., No. 2.: 312–335. Verdery, Katherine (1996): What Was Socialism, and What Comes Next? Princeton University Press. Wallerstein, Immanuel (1976): Semi-Peripheral Countries and the Contemporary World Crisis. In: Theory and Society, Vol. 3., No. 4.: 461‒483. Ziman, John (2000): Real Science: What Is, and What It Means. Cambridge: Cambridge University Press. Zoltán Ginelli is a PhD candidate in human geography at Eötvös Loránd University, Doctoral School for Earth Sciences. 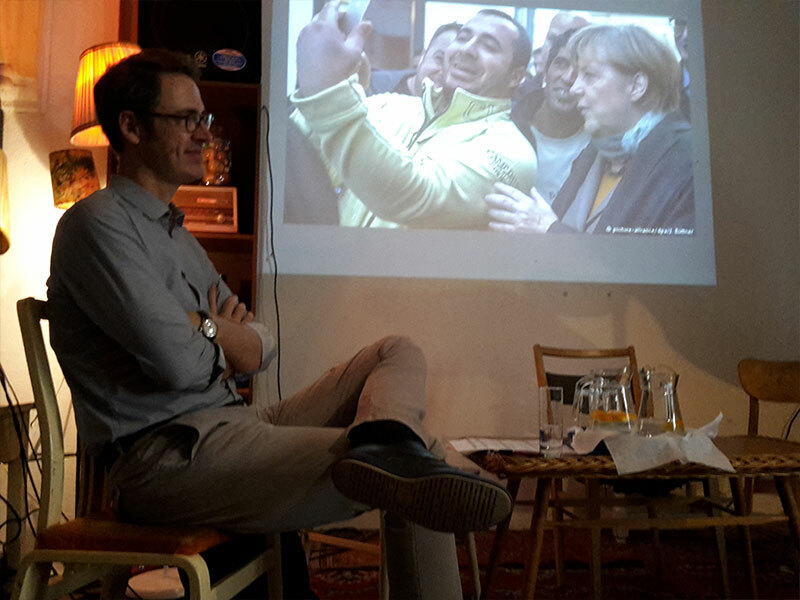 In his research and teaching, he is interested in the geographies of scientific knowledge, actor-network circulations and translation strategies of local knowledge regimes, decolonial theory and transnational or global history. 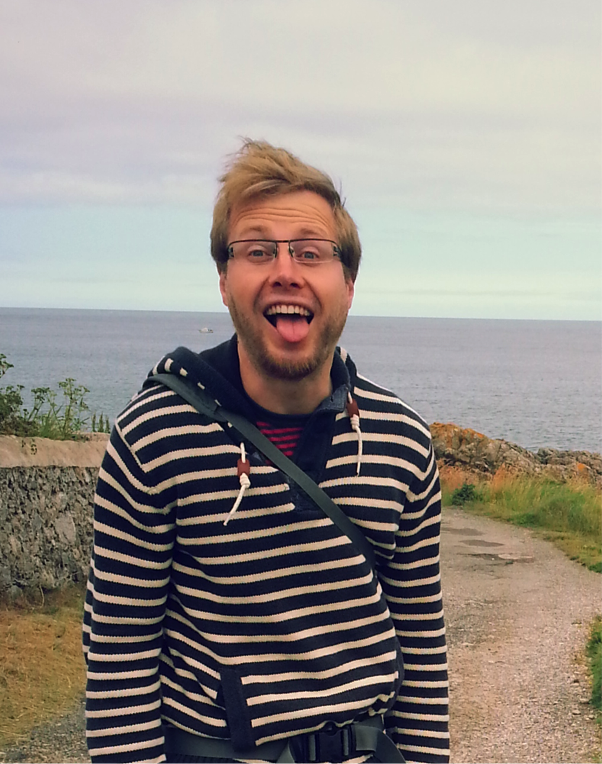 Márton Fabók is a final year PhD student at the University of Liverpool working on nuclear power. He has wide-ranging interest in infrastructures, the politics of technology, and technological governance, especially in Hungary and the UK. He is the outgoing student representative in the EASST Council. Ivana Damnjanović holds a PhD in political science from University of Belgrade, where she is currently teaching as assistant professor. 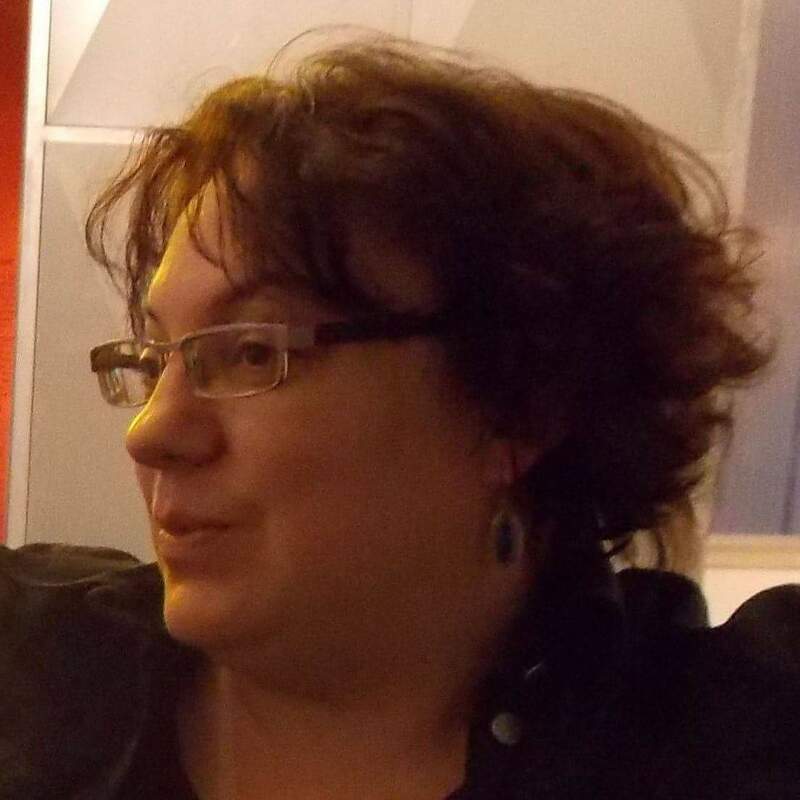 So far, her work was focused primarily on use of new information technologies for political participation, technologies of political violence, reproductive technologies, as well as conceptualizations of technology within political thought, especially in works of Yugoslav and Serbian authors. Previous ArticleDoes History Matter? Techno-sciences and their Historically Informed PoliciesNext ArticleSTS by other means?